« Ticket to Ride turns 10 years old. Let’s celebrate! A little help from a friend won’t be too much to ask if you want to conquer the biggest Small World so far… Pair up in teams and attempt to rule the land together. Despite the growing landscape, you’ll find there still isn’t enough room to accommodate you all! 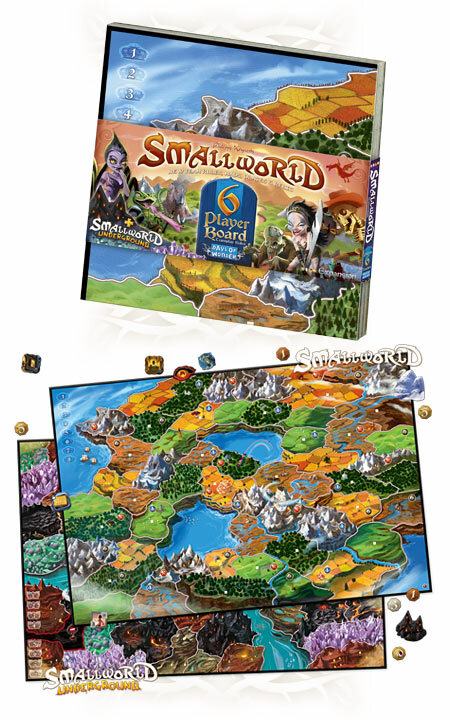 This double-sided map gives you a new way to play Small World and Small World Underground. Teams of two players combine to compete against others, with each team member playing their own Race/Special Power combo and keeping their own Victory coins. But there is an ingenious twist… it’s the point total of the LOWEST team member that decides your score against the other teams! In addition to the double-sided 6-player map (Small World on one side/Underground on the other), this expansion includes 4 new Popular Places and a new Righteous Relic specifically designed for team play. You’ll also find additional tokens, markers, Victory coins and the new 6-player Team rules. 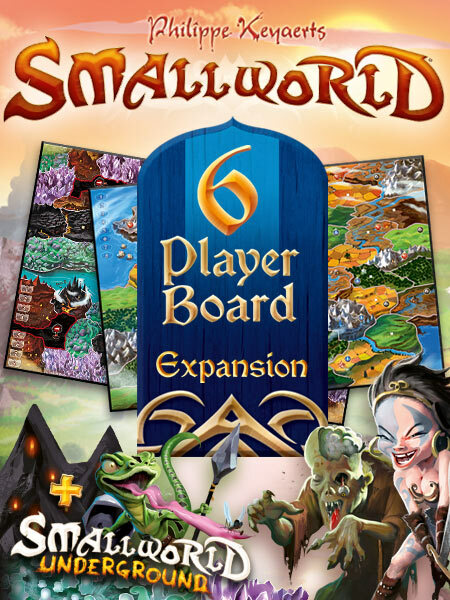 The Small World 6-Player Map expansion is designed for both original Small World or Small World Underground and is now available from the Days of Wonder webstore and better game stores worldwide. Order your copy today! Note: The Small World 6-Player map is an expansion and requires a copy of Small World and/or Small World Underground to play. This entry was posted on Friday, February 28th, 2014 at 09:30 and is filed under Games, News, Small World. You can follow any responses to this entry through the RSS 2.0 feed. Both comments and pings are currently closed. It is a beautiful board!